Anyone who has seen two-time Olympic three-day-event rider Jessica Phoenix gallop one of her horses around a cross-country course would not be surprised to learn she is also a fan of horse racing. “It’s always exciting to be around that level of athlete,” she says of her visits to the track as a spectator. “Thoroughbreds have such amazing hearts. As an event rider, I appreciate having them underneath me because when the going gets tough they show real courage.” In fact, two of her top prospects for this year’s World Equestrian Games ‒ Dr. Sheldon Cooper and Bogue Sound‒ are off-the-track-thoroughbreds. 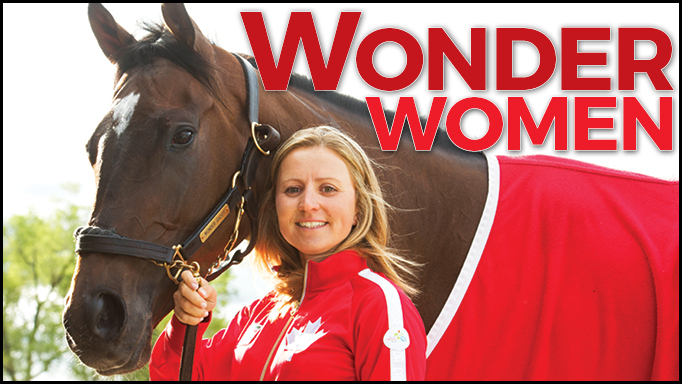 Canada’s eventing “Wonder Woman,” Jessica knows something of courage, and as the Canadian Triple Tiara series kicks off this weekend with the Woodbine Oaks, Phoenix has a special connection with the favourite, Wonder Gadot. The Woodbine Oaks is a prestigious mile-and-1/8th race for Canadian-foaled three-year-old fillies that has a hefty purse of $500,000 and was first run in 1956. And lest you think the fillies can’t run as fast as the colts, last year’s winner, Holy Helena, went on to defeat the boys in the Queen’s Plate. Wonder Gadot is now owned by Gary Barber, a movie producer and former chairman and CEO of Metro-Goldwyn-Mayer. He also produced the blockbuster movie Wonder Woman and subsequently named the filly after the film’s leading lady, Gal Gadot. Come to Woodbine this Saturday and cheer on Wonder Gadot as she makes her brave bid in the Oaks. Jessica will be with her in spirit while she’s galloping fearlessly over the cross-country course at the Bromont CCI3* in Quebec this weekend. There is truly courage to spare in both of these Wonder Women. Meet & Greet: 12:15-12:45 meet the stars of the track! Come to the new “Player Zone” on the 2nd floor of the Grandstand before the first race to meet the jockeys. Live Music 1:30PM – 4:30PM – Jeff Eager Band performs LIVE on the 2nd floor of the grandstand! 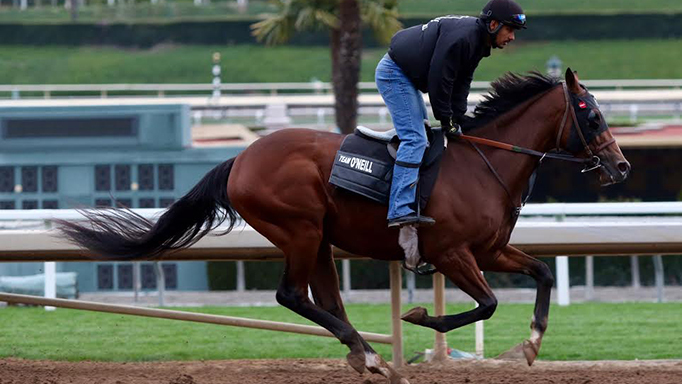 Is Canada’s Derby Contender Peaking Just in Time? 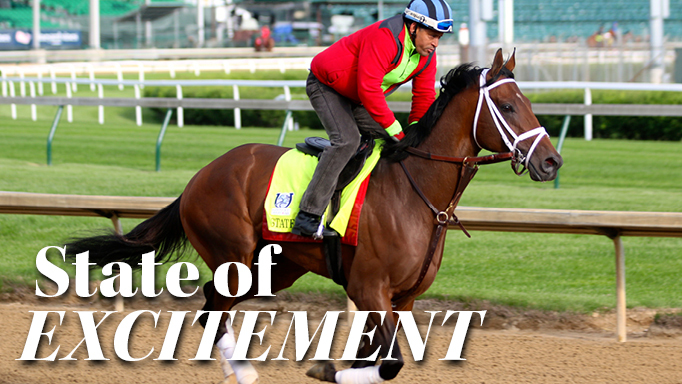 The 143rd running of the Kentucky Derby will have a distinctly Canadian flavour this year.